As I continue down the list of European countries, I get to Kosovo today. 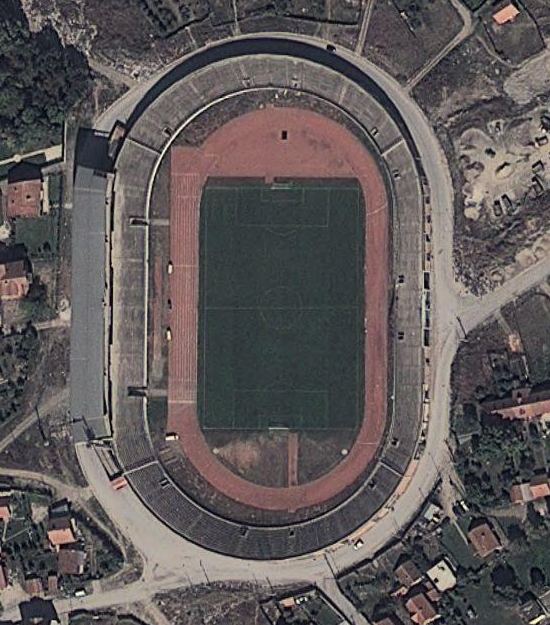 The track of the day today is found inside Stadiumi Olimpik Adem Jashari. This is the largest stadium in the country, and can hold up to 28,500 people. It is used mostly for soccer. I was unable to find any more information on this stadium, so I’m not sure how old it actually is. It appears to be fairly old though. Thanks for the info, Genti!